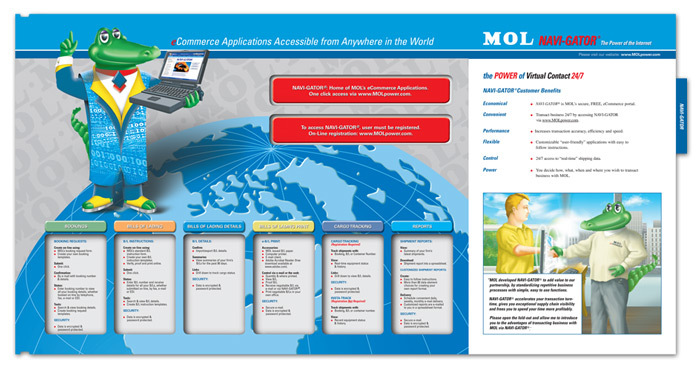 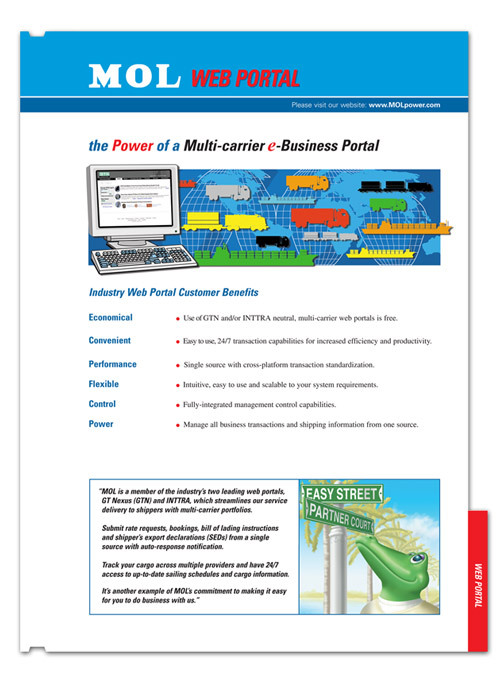 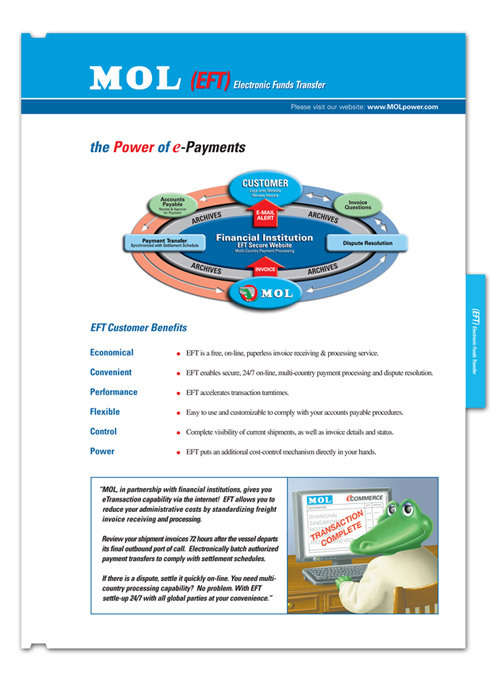 This is an early technology brochure we did for shipping giant, MOL (Mitsui OSK Lines). 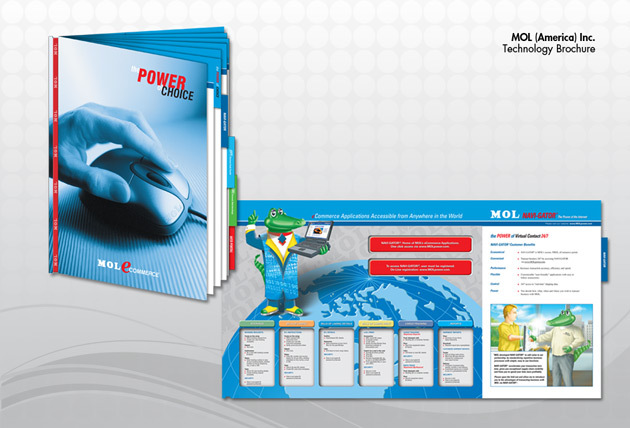 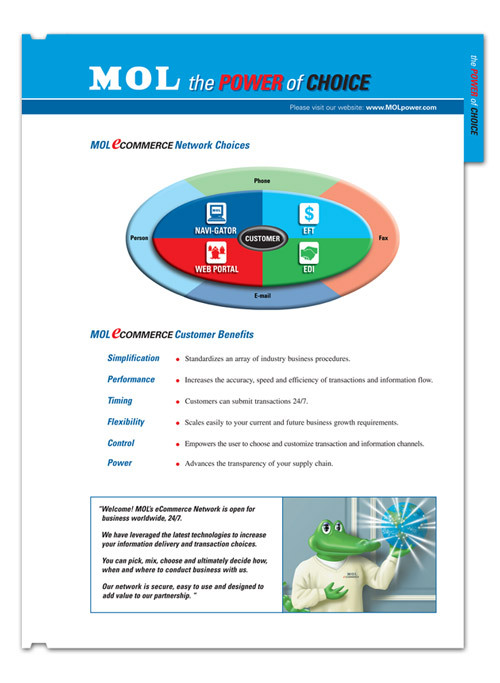 It was a modular brochure in which the client could add an remove pages as needed. 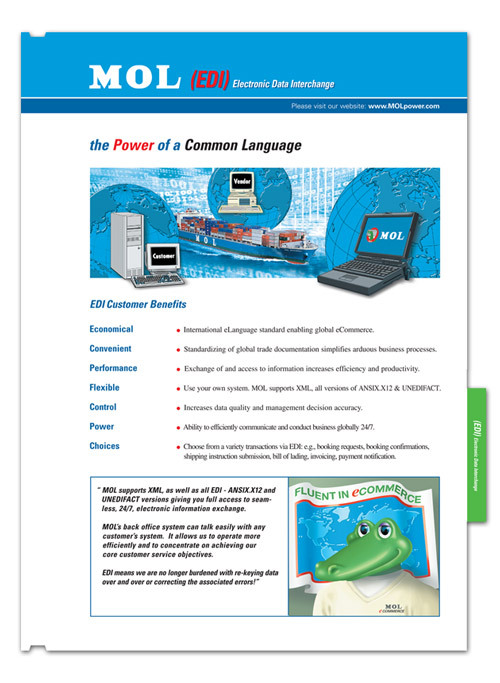 This allowed for optimum shelf life for the over all brochure since individual pages can be reprinted with new information avoiding a complete reprint.